OLYMPIA – Annually, the Washington Hospitality Association recognizes lawmakers who are true champions of the hospitality industry’s priorities. The association is known for its political advocacy and acumen. Nominees for the association’s Legislative Heroes come from both parties and both chambers. Chosen legislators work hard to understand the unique challenges faced by the industry and advocate within their caucuses on important topics. The hospitality industry is impacted more than others because of narrow profit margins, an ever-changing economic climate and stiff competition for consumers. Legislators who understand the nature of the hospitality industry are instrumental in negotiating laws and finding solutions that work for a diverse group of stakeholders. This year Sen. Joe Fain was the biggest champion on Paid Family and Medical Leave. Fain is the prime sponsor of legislation that passed, which was a compromise between two bills addressing the issue. Without his dedication and keen insight during the negotiation process, the new law wouldn’t have moved. Washington has the best law in the nation for both businesses and employees. Sen. Karen Keiser is tireless advocate for Paid Family and Medical Leave. This year, the senator co-sponsored the Paid Family and Medical leave legislation. After years of work, Keiser is a hero for finding ways to ensure both businesses and employees are capable of participating in this important program and helped find funding. Her willingness to find solutions during negotiations was critical to creation of the new law. Rep. Brandon Vick is a strong advocate for the hospitality industry on issues ranging from workforce development to liquor regulations. This year, Vick sponsored legislation that allows restaurants and other licensed purchasers to buy spirts and wine with credit cards. This is a great new law that will allow restaurants an easy way to purchase alcohol and contribute to the ease of business. Rep. Larry Springer is the deputy majority leader for Jobs & Economic Development in the House of Representatives. As a former restaurateur who now owns a wine shop in Kirkland, Springer knows what it takes to run a business. He acted as a moderate voice across party lines and helped find consensus on countless divisive issues. He continues to be a strong advocate for the hospitality industry on subjects ranging from liquor regulation and tourism funding, to workforce development and tax issues. Springer is a champion across party lines for issues that impact both citizens and businesses. Three additional legislators were given special recognition for their unwavering dedication to the hospitality industry: Sen. Mark Mullet (D- Issaquah); Rep. Matt Manweller (R-Ellensburg); Re. Gina McCabe (R-Goldendale). Washington Hospitality is a member-based organization that works at the state and local levels to find proactive solutions to the challenging issues facing the industry and its workforce. It provides its members with programs, services and the information they need to deliver great local experiences, to ensure the success of their employees and to help their communities thrive. 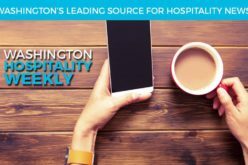 The Washington Hospitality Association became the state’s second-largest trade association in 2016 when the Washington Restaurant Association and Washington Lodging Association joined forces in a combined association.